Orange styrene soft tip poly block push broom head. 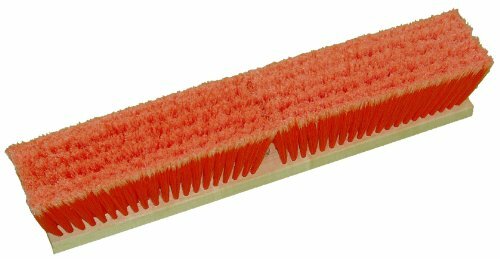 This broom has orange plastic bristles that are resistant to a wide range of alkalis, detergents and some acids. Natural lacquered hardwood block. Flagged, soft tips for sweeping fine dirt. Heads only, use any threaded handle.